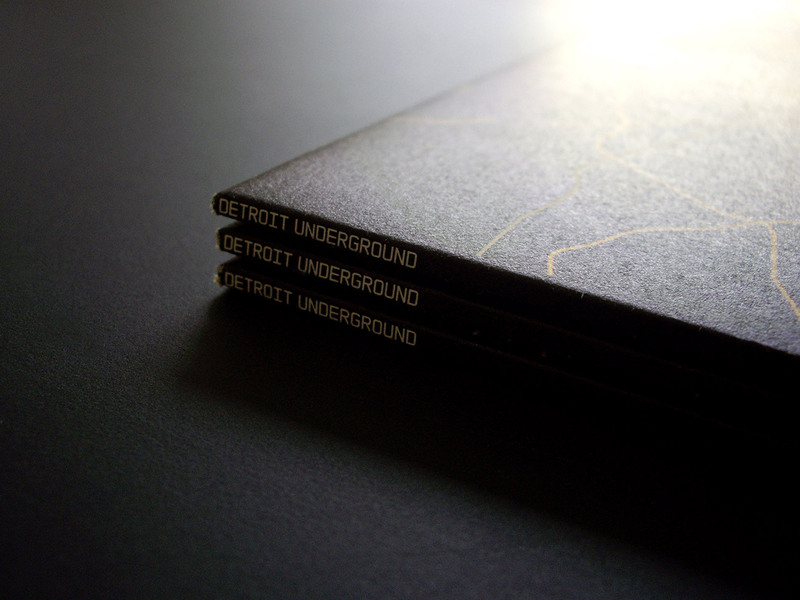 Generic Sleeve Design and Promotional Video for Detroit Underground Record Label’s Release R01 – R07 (also known as ‘the blue edition’). 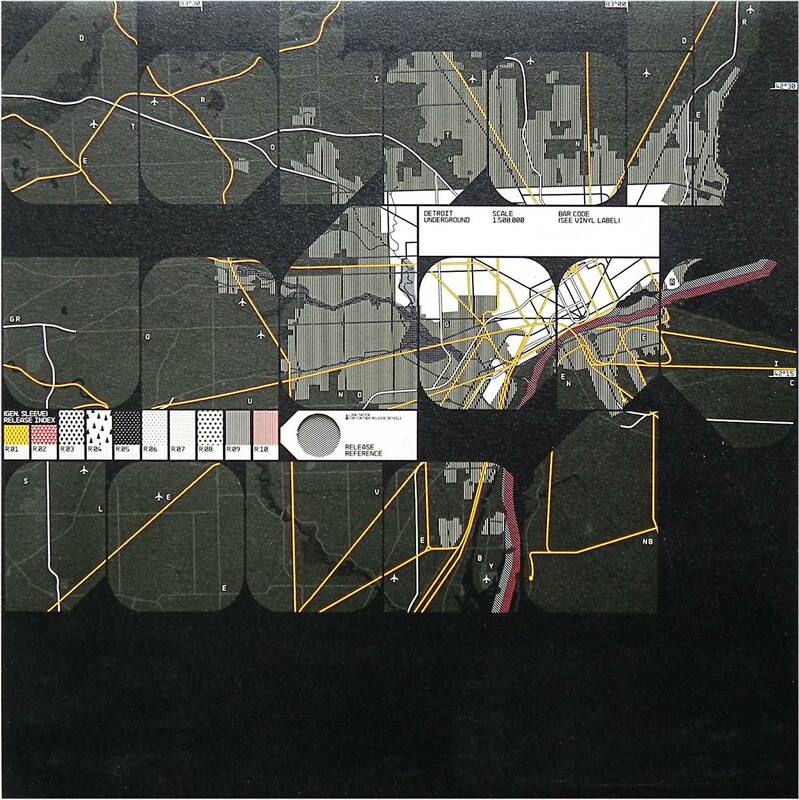 The packaging’s typo-graphic is dominated by Neubaus’ NB-Form™ typeface reading ‘Detroit Underground’ by masking a city map of Detroit (Michigan, USA). 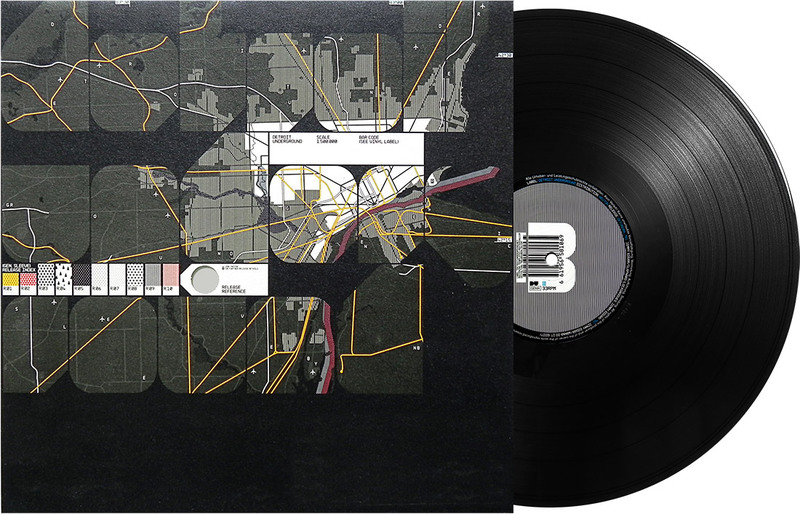 Each record release is accompanied and referenced with a graphical pattern which is visible via a dye-cut hole on the front cover showing the record’s circular label sticker. 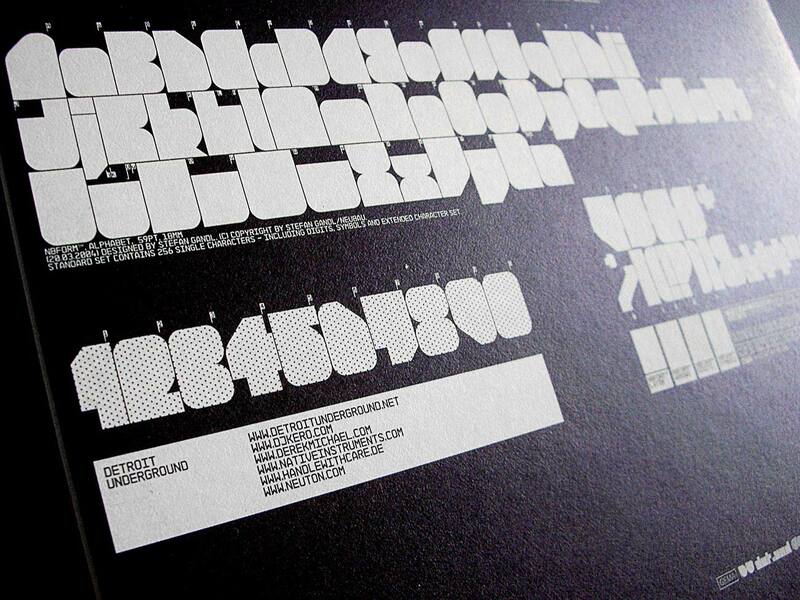 The NB-Form™ alphabet is displayed in detail on the rear side of the cover. 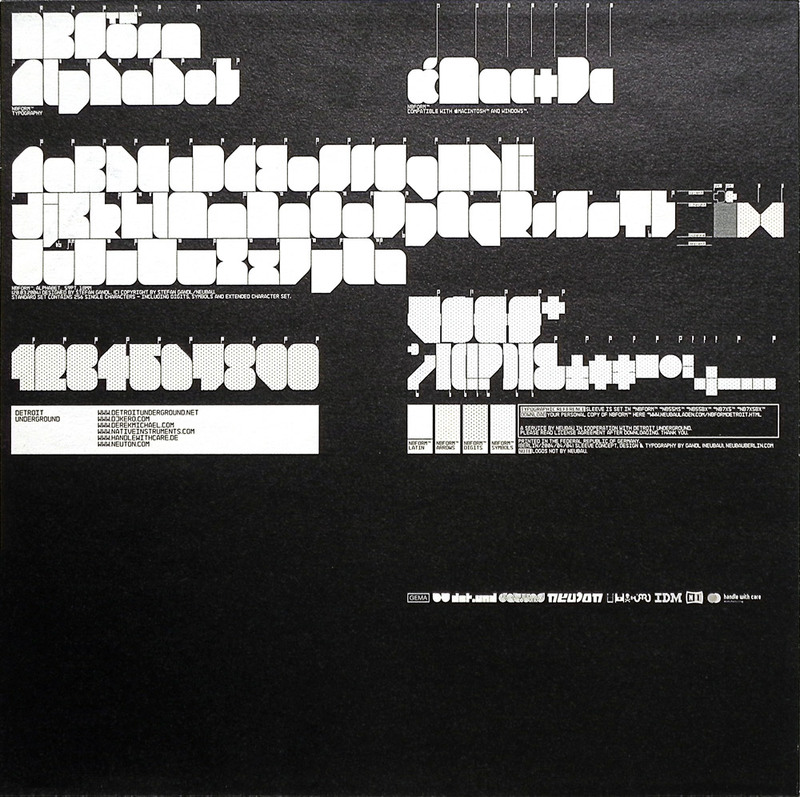 A copy of the typeface was also available as free exclusive download to every DU record owner. The ‘Deformat’ video promoting a track by Kero presented here in its linear edit version was originally an interactive video for vj-events enabling the user to generate an individual motion experience. 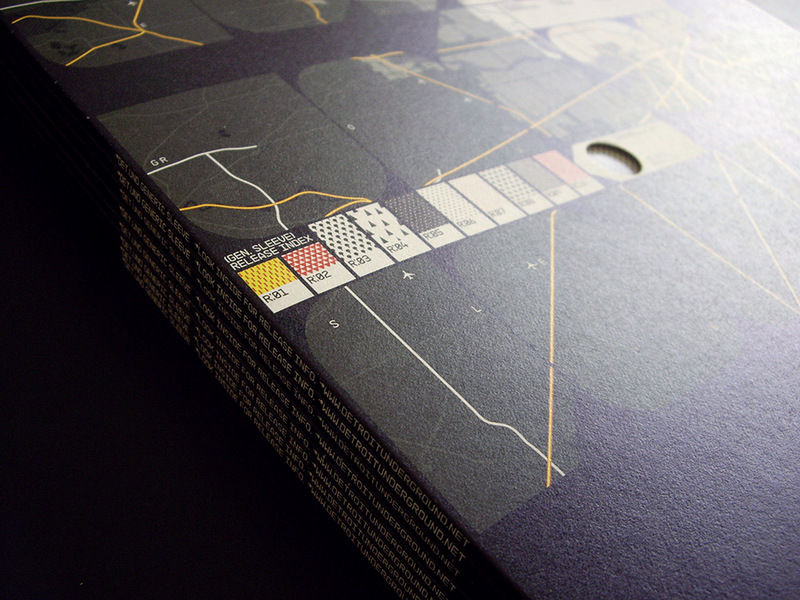 The visual content is entirely from Neubau’s ‘Neubau Welt Catalogue’ publication. Directed, edited & produced by Gandl/Grünberger in 2005.